Talent does not always and necessarily requires expensive equipment. The key to success, clearly, lies in your eyes, and in the way you look at the city through a lens; but in some cases, a professional could come in hand. Follow us in this London’s night lights photo tour to capture the best illuminated landmarks of the city. 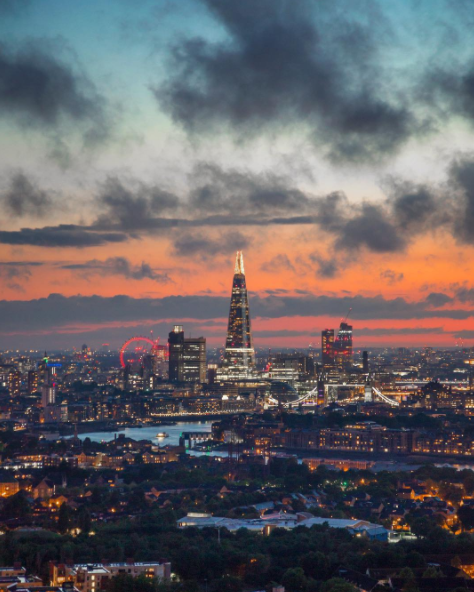 All about the LONDON NIGHT LIGHTS PHOTO TOUR. Talent does not always and necessarily requires expensive equipment. The key to success, clearly, lies in your eyes, and in the way you look at the city through a lens; but in some cases, a professional could come in hand. Follow us in this London's night lights photo tour to capture the best illuminated landmarks of the city. Experience the enchanted lights of London which are, by their very nature, extremely fascinating and try to capture this beauty with your own camera. The setting of the sun and the onset of night allow unique light conditions, and with these come great opportunities to obtain stunning pictures. Though, nighttime landscapes and lights are among the hardest elements to portray, that's why it's a good idea to improve your techniques on the field with a master photographer. Thanks to our professional you will be able to try peculiar photographic techniques in order to capture images of the urban iconic elements you already had the opportunity to admire during your daytime, and that obtain even more charm when illuminated by the warm lights of the city. Join us and get some insider tips while trying to capture the light's reflection on the waters of the River Thames. This can offer you a great perspective and new possibilities to experiment with your camera. Practice long exposures and light trails and take the perfect shot thanks to the advices of the professional photographer, that will be happy to help you find the perfect moment and place to shoot during the golden hour or the blue hour. The bascule bridge that crosses the River Thames as become the iconic symbols of London. The Cathedral, designed in the English Baroque style after the Great Fire of London in 1666, is undoubtedly one of the most famous and recognizable sights in London. 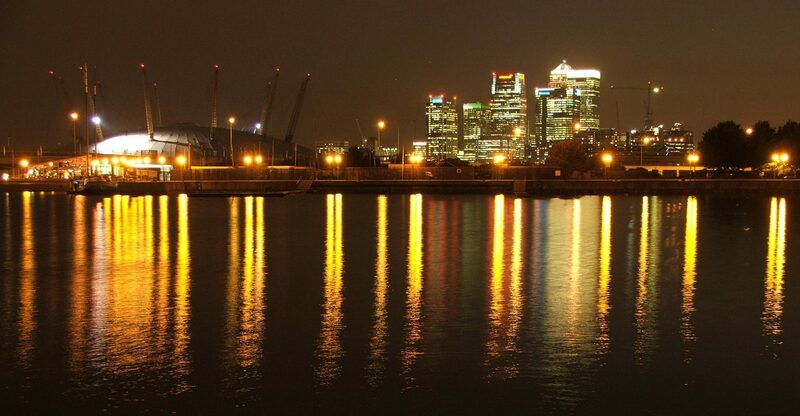 The pedestrian river-walk along the north bank of the Thames is particularly charming when illuminated in nighttime. 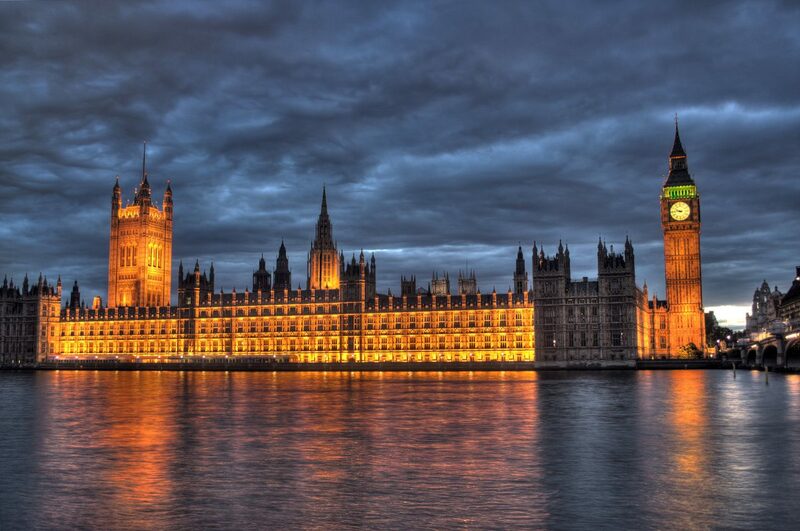 The palace, heart of British politics, reflects its lights on the water of the River Thames. From the South Bank of the river the landscape and these reflections are particularly interesting and charming. Take advantage of the movements on the surface of the water to obtain even more original shots. 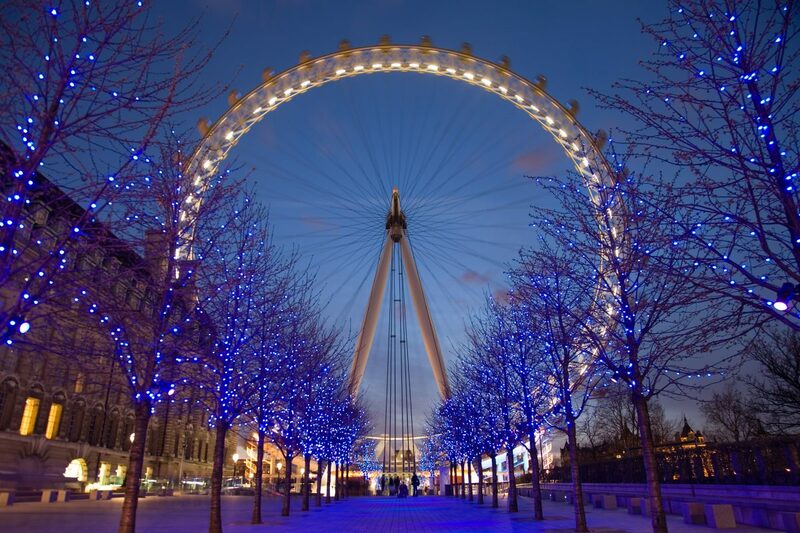 The Europe's tallest ferries wheel has been erected on 31 December 1999 as part of London millennium celebration. Thanks to the colors of its lights it attracts everyday millions of tourist, professionals and amateur photographers. Beside the historical importance of the place, the lights games on the architecture of this gothic church create interesting effects for each photo lovers. Built on the south bank of the Thames in the mid 1970's, the Theatre is an example of brutalism architecture. In the nighttime the vertical and horizontal elements of the building are highly illuminated creating a bright colorful effect, highlighting the London skyline. The tour ends in one of the major shopping and entertainment areas in London, where the lights have a leading role. As an important tourist attraction, Piccadilly is a busy meeting point at any time of day and night. Published in magazines and newspapers all over the world, Tom is an international photographer based in London. Particularly interested in people and street photography, he traveled the world, developing on-the-field skills and obtaining stunning travel pictures. How can I book?Are there cancellation policies?When are the photo tours organized?Can I propose a photo tour?Can I customize my Photo Tour?What is the difference between a private and a group photo tour? When are the photo tours organized? Royal_National_Theatre,_London_cc_commons.wikimedia.org Red lights on London Royal National Theatre. London_Eye_Night_Shot_cc_en.wikipedia.org London Eye in the night, London. British_Houses_of_Parliament_cc_commons.wikimedia.org Houses of Parliament and reflections on the River Thames, London. bridge-898753_960_720_cc_pixabay Embankment river and lights, London. 16484823825_00447b3743_b_cc_flickr_Benjamin Gillet St. Paul's Cathedral during the night, London. UK Photo Tour Night lights on Tower Bridge, London. 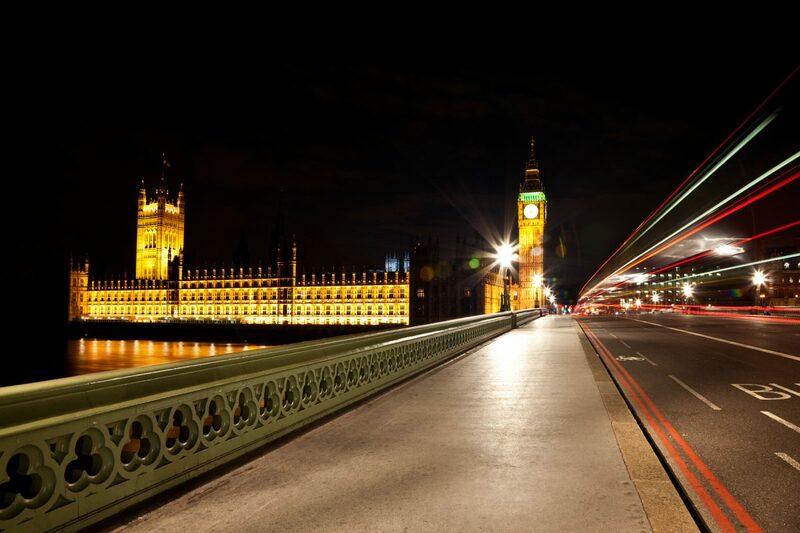 London Night Lights b_b_cc_flickr_Moyan_Brenn Night lights and movements in London.